No parent is the 'perfect' parent. But there will always be those certain parents who think they know what is best, even for your child. However, no one does. We weren't given a parenting guide and rules when we became parents we just take parenting as it is. It can be a big rollercoaster ride, full of ups and downs but at the end of the day everything we go through, easy or hard, it's worth it isn't it? Parenting comes with full of surprises. We realise things we didn't know before we became parents, we learn new things and discover new things too. Yup! If I fancy a chocolate and I see one, I will eat it but I will hide in the kitchen so they don't see.. which means I wont have to share! I'm guilty of telling my girls to be quiet! Maybe I say this a little to often? But Elliw talks, screams, talks and screams a little more on a daily basis. It can get a little too much sometimes. And Mia... Well she can talk for Wales! Urgh! Those school mornings. Waking up and wondering whether I should just phone the school and say the girls can't come in because I want a lazy morning... Unfortunately I cant do it and never have done it because they love school too much and would just moan and moan all day! Boohoo! You know when it's the weekend, maybe a Sunday and you just want that extra lie in but the kids decide to wake up at silly o'clock in the morning, yeah... that's when the iPad comes in handy! It's given me an extra hour or two sometimes though ;)! Those days where your child really misbehaves so you tell them they can't have their treat later on but when the time comes they moan so much you just give in.. Yeah, I need to stop doing this!! Yes it's true! Many parents lock themselves in the bathroom for some peace and quiet. I know right, of all places, THE BATHROOM?! I have finally deleted all children games on my phone now, simply because I had no memory left! On the plus side, no mucky sticky finger marks are seen on my phone anymore! Hooray! You know those days when you literally can not be bothered to do anything - all day? Yeah, so I let the girls just do whatever they want! Of course I regret it the next day - MESS! 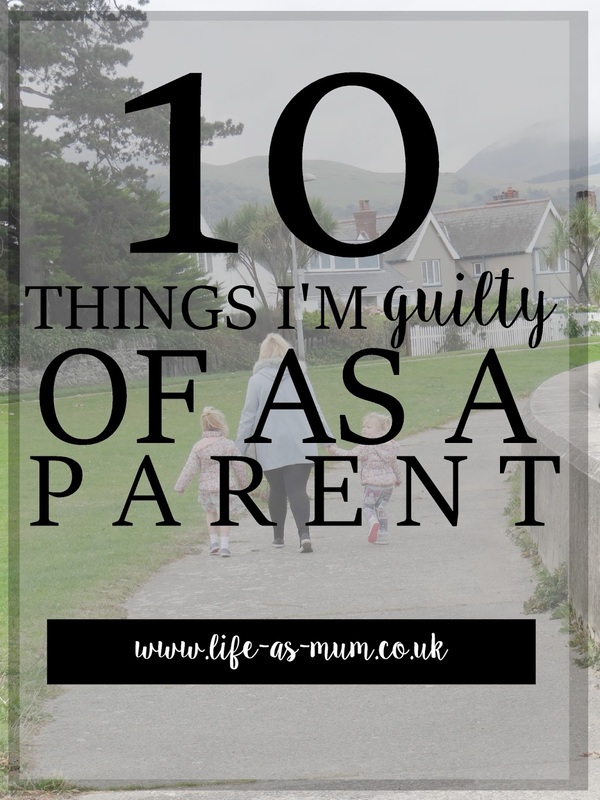 Are you guilty of anything above or anything else? Yep, think that just about covers it!